Frogtown Web Design created a new WordPress website using WooCommerce. 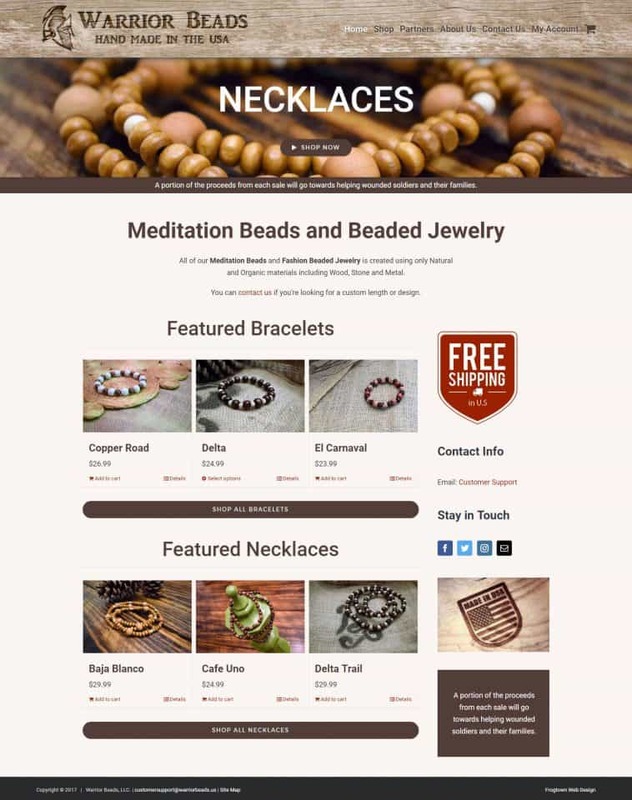 The new eCommerce site showcases meditation beads and beaded jewelry created by Warrior Beads. The WordPress is mobile friendly, SEO optimized, and super fast. Warrior Beads, LLC creates meditation beads, beaded bracelets, and beaded necklaces. All of our Fashion Beaded Jewelry is created using only Natural and Organic materials including Wood, Stone and Metal.